"I don't the think the system's going to grow a whole lot [next year], probably some modest expansion, targeted expansion," said CDTA CEO Carm Basile this week at an event wrapping up this past season. Possible spots for expansion: smaller downtowns not currently included in the coverage area, college campuses, and maybe some of the institutions and employers with which CDTA has "universal access" agreements in which people associated with those orgs ride for free. Toward the end of this past season CDTA included bike share in RPI's universal access plan, the first time it's done that. And Basile said the early result was very encouraging. "It's amazing, it's a very short time at RPI, but you can see the ridership gain in Troy." 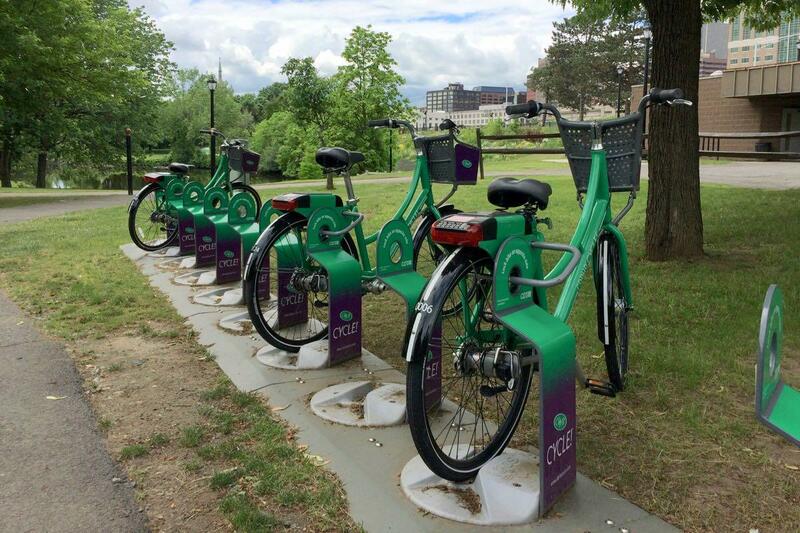 Albany is the epicenter of the bike share system's popularity. 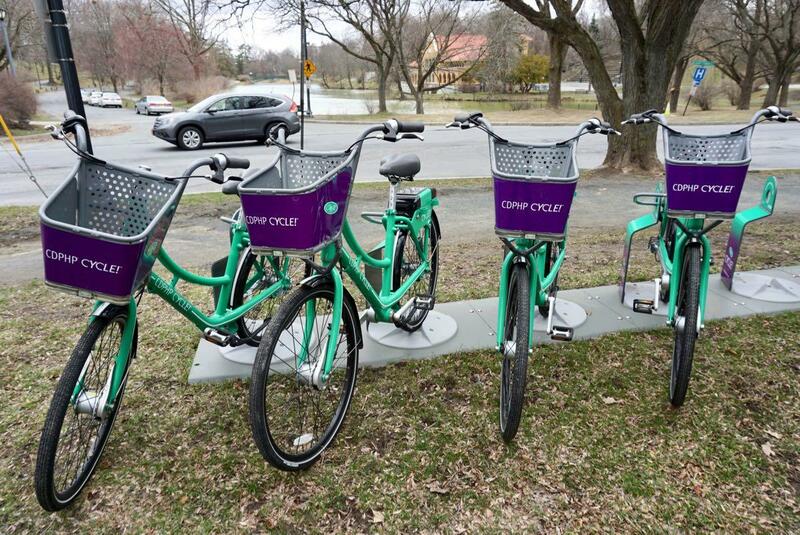 And the bikes get a lot of use in Saratoga during the summer. Troy and Schenectady... not so much. How to change that? "The easiest thing to do is just to add more stations and more bikes in communities [where the service] hasn't been perhaps as popular. But I think you have to be a little more strategic about it," Basile said, pointing to the recent universal access experience with RPI. So, maybe that means setting up a similar agreement with Union College or SCCC or, as Basile mentioned, even something at a place like Mohawk Harbor and its growing residential component. "Schenectady and Troy have lagged," Basile said. "I look at it as a challenge in the small communities to educate and entice people to use it." 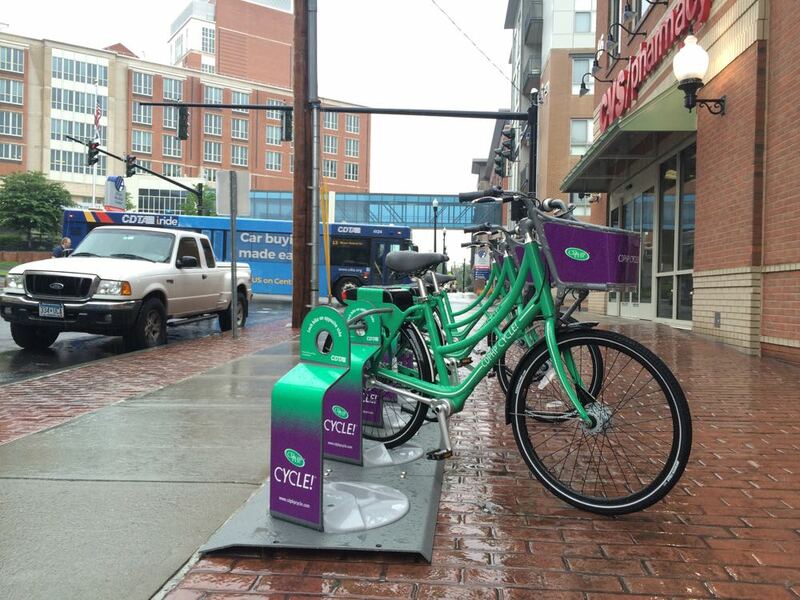 Now with two seasons worth of experience and data for bike share, CDTA says it's starting to get a sense of how people are using the bikes. And some of those uses are pretty much what you'd expect. Spots such as Corning Riverfront Park in Albany and Saratoga Spa State Park get a lot of use, presumably from people taking bikes out to pedal around recreationally. But the picture starting to emerge in Albany is a little more textured and interesting. 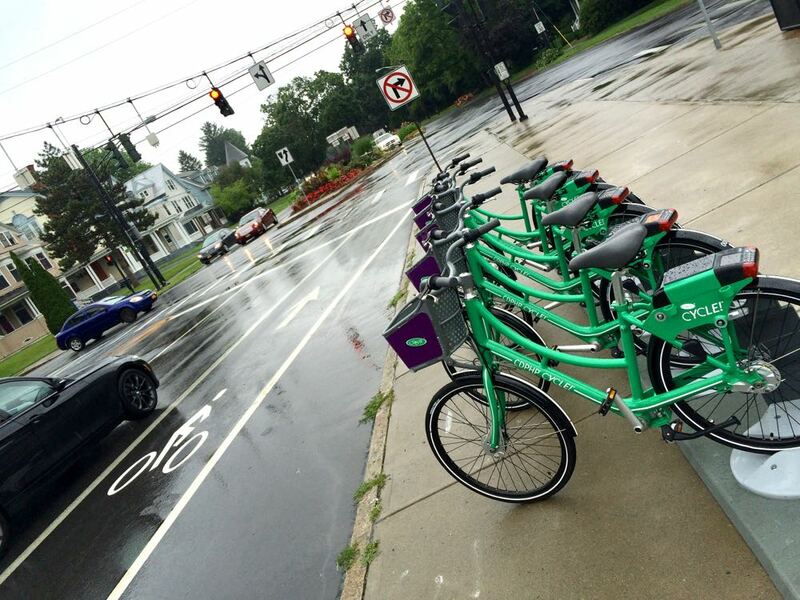 Basile said the numbers and observation point to many people using the bikes for what he described as "purposeful" trips -- commuting, running errands, or to connect with a bus line. One of the things that's interesting about these sorts of patterns is that they point to the possibility that bike share is, in some small way, becoming a regular entry on the overall menu of transportation options for some people, and it might even be filling in a few gaps. The use of electric scooters -- specifically bike share-style "dockless" scooters deployed by private companies -- has been booming in a bunch of big cities around the country during the past year. And CDTA has taken note. "Everywhere I go -- I was in Washington last week, Nashville a month or two ago -- there's scooters everywhere," Carm Basile said, also noting some of the safety and clutter issues associated with them. "But it's a mobility choice that people say they want." In these other cities, the boom has largely been driven by venture capital-backed private companies such as Bird and Lime. But Basile said he's been thinking about whether there's a way for CDTA to maybe do scooters here in a way that works. Maybe. Eventually. "If there's a way for us to be involved and we can add something, let's do it," he said. 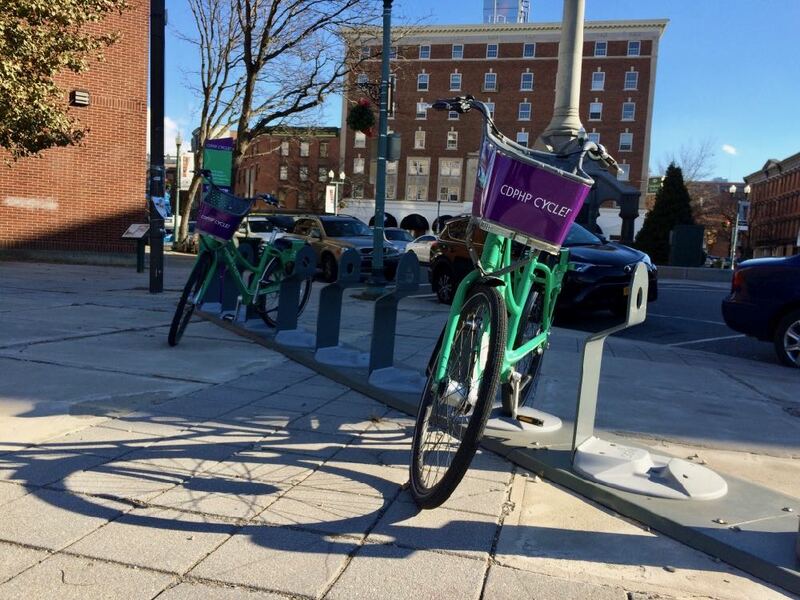 Carm Basile said the budget for the bike share program this year was about $800k. That's covered by CDTA, CDPHP sponsorship, a federal grant, and membership payments. A mix that's set to continue for next year. Of that $800k, Basile said membership covers a little short of 50 percent. For some frame of reference, he said that fares cover about 25 percent of CDTA bus service. I've seen a steady increase in cycling trips along Madison Ave. after the road diet. I've been one of those riders, too. It's made summertime trips from my house to the Point on Madison that much faster than walking, and there's really no need to drive that short distance - thereby saving a spot for another patron. I've not only enjoyed the F out of the trip, but burned a few calories, too, which considering my diet, is much needed. I'm very very pleased with this effort and thank CDTA, CDPHP and CDTC for their efforts in making this happen. I'm resolving to make MORE trips in 2019! @Thomas, Troy's bike rack layout makes very little sense to me, so that's where i'm going to lay the blame. Half of the stations lie within a short, flat walk of each other. Definitely not enough in the 'burgh. Nothing in Watervliet. Nothing near HVCC. Nothing near any grocery stores. Nothing at any of the trails/bike paths or larger parks. So I don't see it as much use for errands or for recreation. You cant just cluster them at RPI and downtown and expect significant ridership. I live in Troy and use the bikes extensively for recreation on the weekends. This includes trips from downtown to the northernmost point of the Burgh via the bike path and back through the street grid. Maybe you'll see me riding through in the Spring! CDPHP should provide helmets. It's a literal no-brainer when you consider the inevitable ugliness of a catastrophic injury. beman park to 15th and sage ave is like one block. that doesn't make any sense. are people just using the bike for like a .2 mile walk? Beman park is in an more residential area giving access to folks living nearby and or going north, the 15th and sage rack would presumably be for students to access more areas of campus and ride south or west down into Troy. I would assume they put them a little closer together to provide more bikes to a group that uses them a lot. Its a similar situation in Albany with the Lark and Madison spot so close to the Deleware ave Price Chopper, if that rack is full at Lark then go to PC or if there isnt a bike at PC there might be one at Lark of vice versa. Just because you dont see them doesnt mean they arent there. But we should get rid of all this bike nonsense because your very comprehensive research says nobody uses this nonsense. That is what you were trying to say, right? At least they werent in the way of your driving. I noticed a significant change since season one with racks being moved further away from each other. Im not sure you are looking at the most current layout. nearly to date (2017) the NYC system has had one death in 43 million rides. Nationally, one death in X million rides. This is great. I saw a lot of people using the bikes this year in the Lark/Madison/Delaware area. And the hubs at the north and south ends of the ESP do seem to get a lot of commuter use. re: helmets - You couldn't pay me to put a shared bike helmet on my head. Sorry, but there's a limit to the sharing.